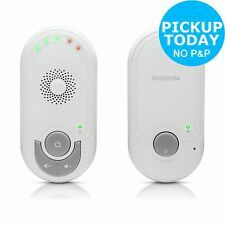 Showing results for "motorola baby monitor"
eBay Motorola MBP7 Baby Monitor - White. eBay Motorola MBP482 2.4 Inch Baby Video Monitor. Argos.co.uk Motorola MBP8 Audio Baby Monitor. Argos.co.uk Motorola MBP481 Video Baby Monitor. 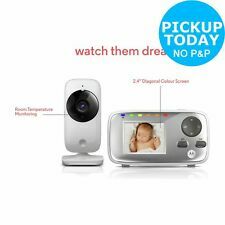 eBay Motorola MBP622 Digital LCD COLOUR Video BABY MONITOR Night Vision Camera DECT. 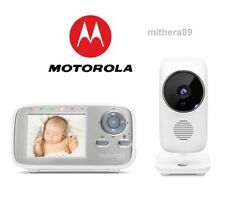 eBay Motorola MBP480 Digital Video Baby Monitor with 2" LCD Display - (White) NEW! Track and monitor parent and babys weight via app. Monitor parent and baby weight digitally. Plastic platform. Size H2.5, W41, D32.5cm. Batteries required: 3 x AAA batteries (included). Capacity 150kg (23st 9lb). Suitable for hard surfaces. Weight 1.78kg. Argos.co.uk Motorola Smart Alert Sensor Twin Pack.